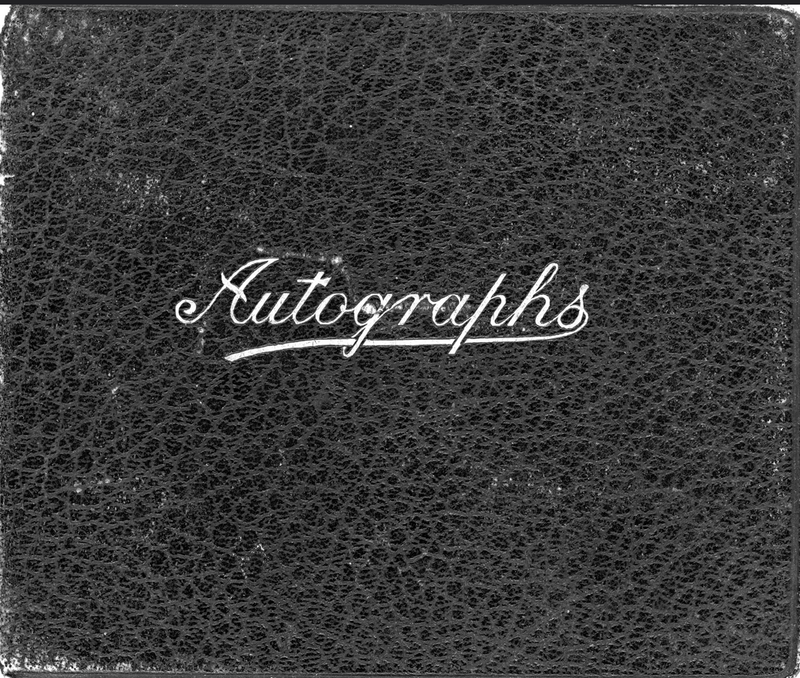 The album and all photographs, postcards, and other ephemera contained in the album belong to Karin and may not be copied or republished without her written permission. The images will be published on Olive Tree Genealogy with permission. These newspaper clippings are pasted inside the front cover of the album. First clipping titled "Kut Prisoners' Long Trek" about Captain C. T. Warner, 22nd Punjabis. Lorine's Research: Charles Thornton Warner was born in England in 1889 to Oliver William and Leila (Justice) Warner. His mother Leila was born on the Isle of Wight to Major William Clive Justice and his wife Leila Parker. The family lived in India for some time. As a young boy Charles attended Portmore School in Dorset and is found there as a boarder in the 1901 census. Sadly Captain Charles Thornton Warner of the 22nd Punjabis died of disease in India at the age of 31. 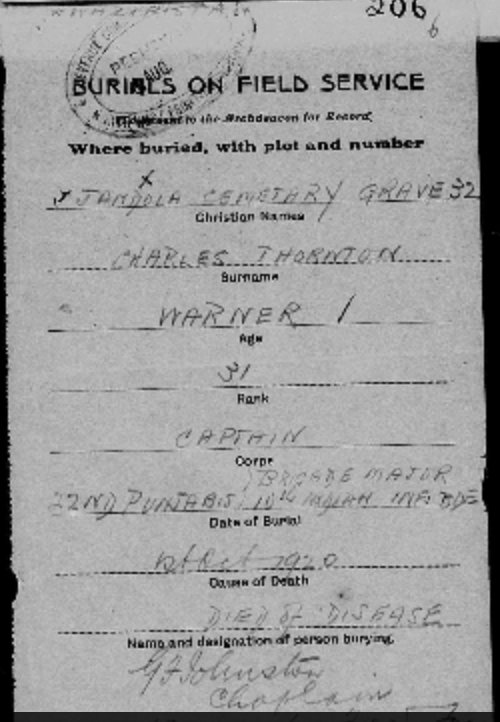 His burial took place in October 1920 in the Jandola Cemetery, Bengal India. Charles' will leaves his estate to his father Oliver William Warner. It appears he never married. 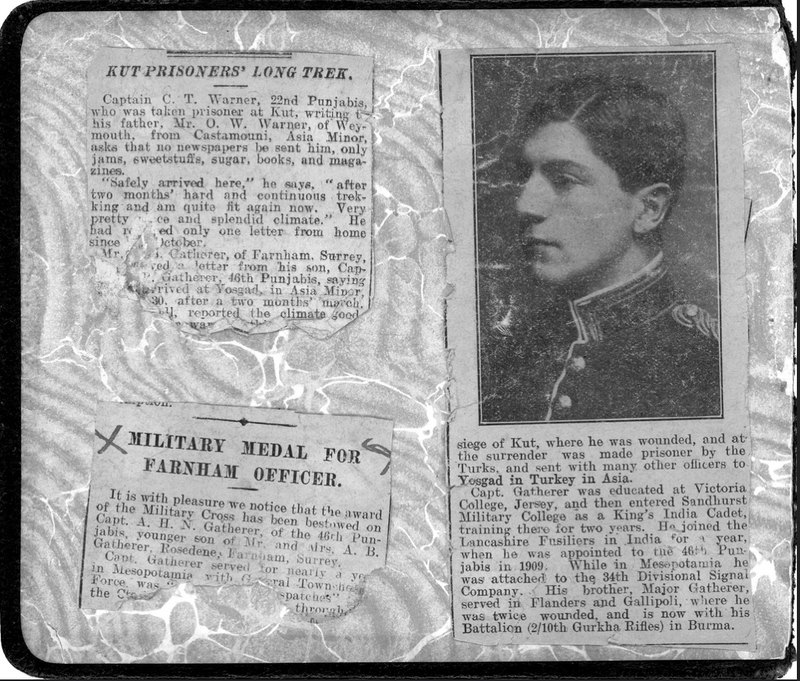 The second clipping, in two pieces, titled "Military Medal for Farnham Officer", detailing an award of the Military Cross to Capt. A. H. N. Gatherer of the 46th Punjabis. Captain Gatherer was a cousin of Connie Philips. 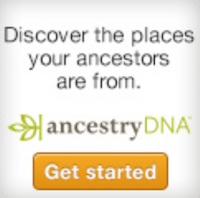 Lorine's Research: Arthur Henry Norman Gatherer was born in October 1887 in Shillong, Bengal India to parents Arthur Brander Gatherer and Margaret Pattulle. His father was a civil engineer appointed to the Indian Public Works Department. Little 3 year old Arthur is found with his mother Margaret in the 1891 census for Bristol in Gloucestershire England, so presumably his father was still in India. In 1919 Arthur married Hazel Blandy in Sussex England and in 1955 he was married for a second time to Jessie B. Weiser. Just one year later on 27 December 1956, Arthur died in Middlesex England. His will left his estate to his wife Jessie Bertha Gatherer.